Borrow - Presbyterian Investment & Loan Program, Inc. Whether you are constructing a new building, renovating an existing space, or need to refinance existing debt, the Presbyterian Investment and Loan Program has a low-cost loan to support your project. Our staff has years of experience helping our churches shape the right loan package and helping you navigate the process of church borrowing. Securing a loan through ILP is a simple step-by-step process. Living in Texas, the summers get very hot. So when our church air conditioner stopped working in May, we were concerned that we would not be able to get financing before the hot weather came. Thankfully we partnered with the Investment and Loan program. They worked hard to get our loan closed in time to keep us cool all summer. Why the Presbyterian Investment & Loan Program? The total cost of financing is more than just the interest rate charged. Loans through ILP have no origination fees, no points, and no prepayment penalties. Our mission is to provide low-cost loans to churches. While prevailing market trends do affect the rates, the primary consideration is our mission – providing low-cost loans. When you borrow from ILP, a portion of the interest you pay will fund other loans to PC(USA) churches – helping them to expand, renovate, or reshape their ministry. No requirement to renegotiate terms throughout the life of the loan and no balloon payments that could challenge a congregation’s cash flow. With over 100 years of collective experience, here to help your session navigate the unique process of congregational and presbytery approvals. Determining if your project is the right size is challenging. Knowing that your church can handle the financial implications and that it will not jeopardize your ability to do mission and ministry gives peace of mind. By taking advantage of one of our free consultation services called a Preliminary Look, we can help you evaluate your capacity to fund the project before you apply for a loan. Using your current plans this analysis projects how much you will need to borrow and evaluates the church’s ability to handle the debt. To see all of our loan options visit our loan options page. Loans are available for construction of a new facility on a site already owned and draws are available on larger projects. Loans are available for the purchase of an existing building, other than property to be used for investment purposes only. Consolidation of loans or refinancing of existing mortgages held by other financial institutions is available. What are the current interest rates on your loans? ILP has several loan options based on your particular project. After discussing the details, we will be able to determine which funding option is best and then give you an estimate of the current rates. How long will we have to repay the loan? Most of our loans are written for a maximum of twenty years. However, smaller loans and some special purpose loans may have shorter terms. Are your interest rates fixed or adjustable? Our rates are adjustable. For loans that include investor funds, the interest rate is adjusted every three years. For loans that are funded exclusively from endowment funds, the rate adjusts every five years. This does not mean that the loan “balloons” at three or five years and must be refinanced, only that the interest rate may change at these intervals. Will we have to provide collateral? Loans more than $100,000 require a mortgage/deed of trust on the property or other suitable security. Loans of $100,000 or less can be unsecured if the loan is creditworthy. Are construction loans (bridge loans) available? Yes. In the case of construction projects, we close one loan and allow you to take draws against that loan commitment. During the construction phase, you will pay interest only. That is, we will send you a bill each month for the interest due on the amount you have drawn. At the end of construction, the loan will be moved to amortizing status, and you will begin full interest and principal payments. Is there a penalty for prepaying the loan? No. You may prepay principal at any time without penalty. 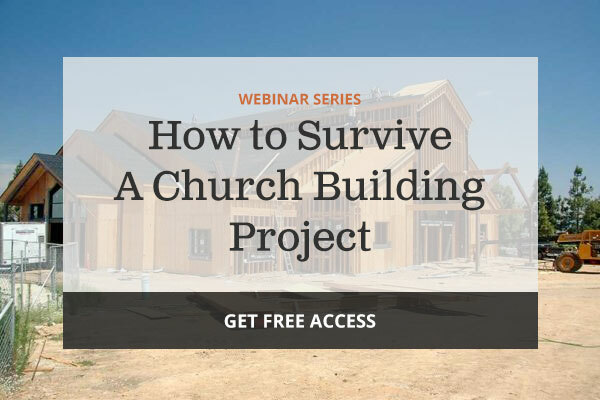 Does the denomination provide help in determining what we can afford to build? Yes. The Presbyterian Investment & Loan Program provides a free analysis called a Preliminary Look. Using your current plans, the most current three year-end financial reports, and a few other statistics, we provide you with an analysis of the strengths and drawbacks of taking on the level of debt required to complete your project. This analysis will show you how your debt payments may affect your mission and ministry budget and how many capital campaigns will be required to retire the debt. Are there other loan options through PC(USA)? Our program is the only General Assembly loan option. Two synods (Alaska/Northwest and Pacific) have programs similar to our investor funds. Churches in these two synods should contact their synod office for details. Also, some presbyteries provide short-term loans for small projects. Do you only make church loans? Our loan funds can be used for capital projects with churches, middle governing bodies and related entities of PC(USA) such as camps, conference centers, and missions of PC(USA) entities. We cannot do personal loans or loans for operating budgets (working capital). Feel free to call us to verify if your entity/project is eligible. Do you have special Synod loan programs? The Synods of Alaska/Northwest and Pacific have special loan programs for borrowers within their respective areas. If your church is in one of these synods, contact the synod offices for details.